The newspaper is dying. Even the most stout-hearted optimists cannot overlook the sharp decline in subscription and readership across the board lately. Many papers have closed down in recent years or are on the verge of doing so. While this withering of a once-mighty national industry may look bleak to many, it is a journalistic genesis for many more. The rise of iPad newspapers, and online newspapers in general, makes quality journalism more accessible than ever. The truth is, it isn’t the news that’s dying; it’s the paper. With the booming popularity of tablets, the informed, up-to-date people who once made up the readerships of newspapers are, not surprisingly, turning to technology for their news and current events. The tablet PC market is exploding and as it does, so does the demand for accessible media, especially news. Every form of data sharing is being consolidated onto tablets and the news is no exception to that. 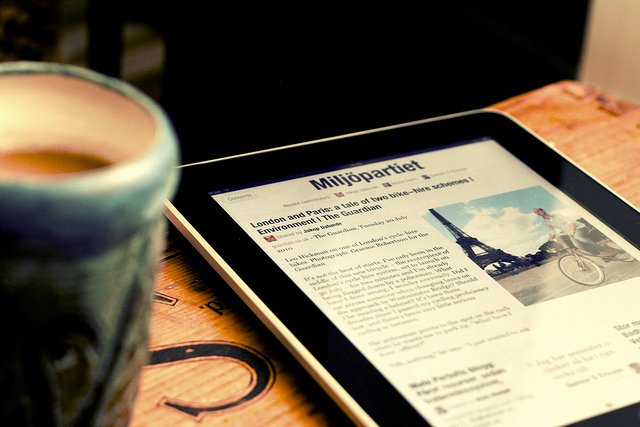 The explosion in popularity of iPad newspapers over the past few years is proof of a growing demand for portable, digital news. 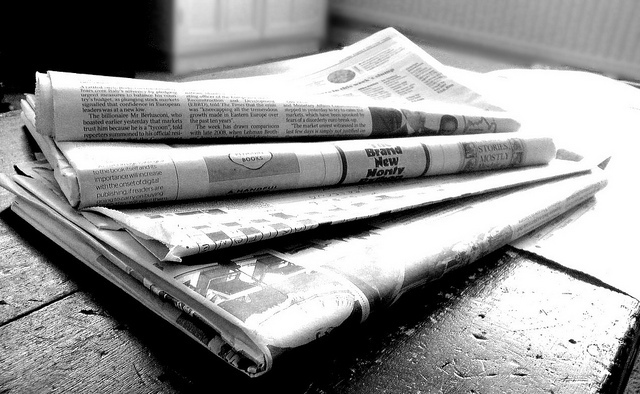 According to a 2012 survey by the Reynolds Journalism Institute, the majority of tablet users who frequently used their tablets for reading the news still subscribed to old-fashioned, paper media, too. This is a bright silver lining for journalists, as it indicates that readerships aren’t demanding less, they’re demanding more. People don’t want their newspapers to be replaced by bloggers, they just want to have limitless access to the news they care about, especially when it’s not practical to carry around a bundle of pages anytime they want to catch up on current events. Few tablet users are willing to pay for this accessibility to online news, though, as 62 percent of U.S. tablet owners have paid for downloaded music, 58 percent for books, 51 percent for movies, but only 19 percent for news, says a Nielsen report from the end of 2011. News outlets must find a way to reconcile this still-high demand for quality news and journalism with their readerships’ disdain for paying for it. Dwindling subscription payments can only cover so much of the costs of producing quality content, so they’re being forced to look for new, innovative ways to bring in revenue through online newspapers without scaring away payment-phobic readers. Any successful business needs new clientele to keep pace with attrition. With the steady decline of print subscriptions, tablet-based advertising is going to be the answer for most publishers. Since 54 percent of tablet owners preferred free, ad-supported applications over paid ones (a number that rose 14 percent from the year before, according to an Online Publishers Association survey), news outlets have a golden opportunity to use the platform to their advantage. An Adobe-sponsored study showed that interactive advertising can much more effectively engage a reader than print ads can, so if newspapers can forget their old ways and follow the tablet’s lead, their publications will be as strong as ever. Author Bio: Emily Green is a freelance writer with more than 6 years of professional experience in blogging, copywriting, content, SEO, dissertation, technical, and theses writing. She has written more than a thousand webpage content articles and has worked for establishedcompanieslike www.copyforbylines.com. Emily specializes in a variety of topics such as tech, fashion, lifestyle, travel and more.